Morgan Shimwell is a Lecturer in Law at Nottingham Law School. His role involves teaching undergraduate students and is the co-module leader of the first year module Public Law and Research Skills. Morgan also acts as a personal and academic tutor, currently for two groups of first year students on the LLB (Hons) Law and LLB (Hons) Law with Criminology courses. Morgan supervises a number of Independent Research Projects and dissertations at both undergraduate and postgraduate level, primarily in the field of Medical Law and Ethics and Intellectual Property Law. Recent projects have focused on the debate over legalising assisted suicide in the UK, the right to ‘die with dignity’, access to patented medicines and the prohibition on patenting methods of medical treatment and diagnosis. 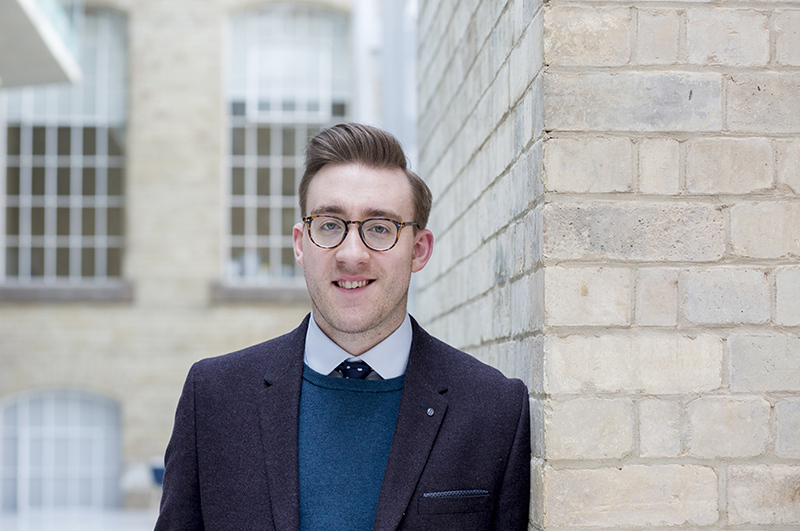 Morgan is also the Academic Admissions Assessor for the undergraduate law programmes. Morgan previously studied on the LLB (Hons) Law at the University of Sheffield. He then proceeded to study on the (then) newly established LLM in European Health Law and Policy, also at Sheffield. In 2013, Morgan was awarded a University of Sheffield Vice Chancellor’s Interdisciplinary Scholarship to undertake doctoral research in the field of the regulation of medical technologies. He is currently in the final year of this research. Whilst at the University of Sheffield, Morgan was a Graduate Teaching Assistant teaching on the Principles of Healthcare Law and Ethics module for final-year LLB students, the Advanced Torts module for second-years and Introduction to Legal Process for first-year students. Morgan also worked at the University of Sheffield International College as the co-ordinator of the Introduction to Law course, delivering teaching to international students in preparation for their postgraduate legal studies. Morgan joined Nottingham Law School in October 2017. Morgan is a socio-legal scholar whose main research interest is the interaction between law, healthcare, medical technologies and socio-cultural norms. Morgan explores the ways that pharmaceuticals are variously regulated in society and is particularly interested in the phenomenon of falsified medicines. He questions the role that law has in de-/legitimising certain medicines and medicine consumption practices, especially with the increasing normalisation of online medicines markets. Morgan is also interested in the ways that patients engage with medical technologies in novel and innovative ways, which do not always sit comfortably with the regulatory frameworks governing their usage. Morgan is also increasingly involved in the issue of medication safety. Working with John Tingle and Clayton Ó Néill, this team undertake research to evaluate current patient safety laws, policies and practices both in the UK but also in countries around the world. They are actively involved in discussions around the development of patient safety policies in Uganda, Kenya, Latvia and Hungary, and collaborate with Ministries of Health, local Universities and civil society organisations. At NTU, Morgan is on the Steering Committee for the Health and Wellbeing Strategic Research Theme. Morgan sits on the Ethics Committee for the Sheffield Teaching Hospital Jessops’ Assisted Conception Unit. Shimwell, M (2018) ‘Medication Without Harm: the WHO Programme, the UK response and Falsified Medicines’ Uganda National Patient Safety Conference, Infectious Diseases Institute: University of Makerere, Kampala: Uganda. Shimwell, M (2018) ‘Medication Without Harm: the WHO Programme, the UK response and Falsified Medicines’ Kenya National Patient Safety Conference, Ministry of Health, Nairobi: Kenya. Shimwell, M (2018) ‘”Medications Without Harm”: Exploring Medication Expertise, Knowledge-Building and Fakery’ Semmelweis University Health Services Management Training Centre: Semmelweis University, Budapest: Hungary. Shimwell, M (2016) ‘Introduction to Changing Perceptions of Human Beauty’, Changing Perceptions of Human Beauty: An Interdisciplinary Debate at the Festival of Life, University of Sheffield.Shimwell, M (2016) ‘Demanding Modafinil: Contesting Legality’ Postgraduate Research Day: University of Sheffield. Shimwell, M (2016) ‘Understanding Social Demands for Modafinil: A Legal and Sociological Investigation’ Socio-Legal Studies Association Annual Conference: University of Lancaster.